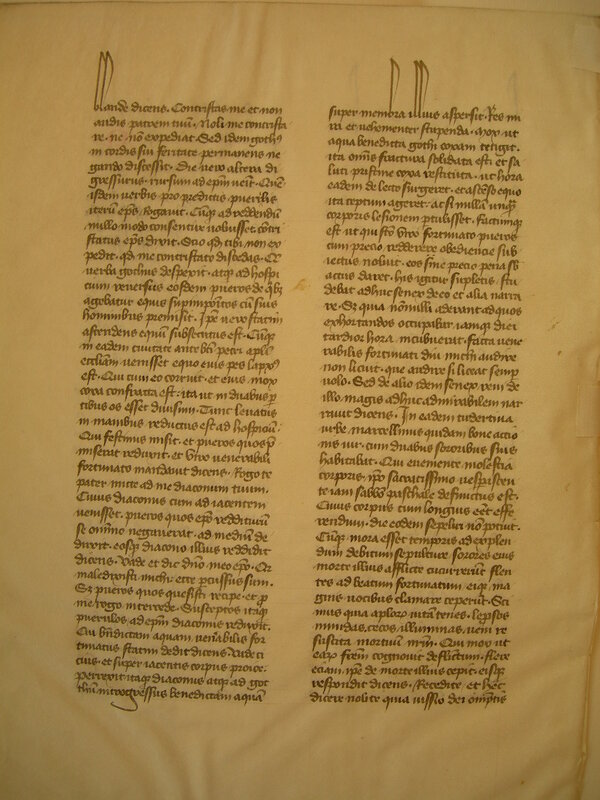 Text: This leaf contains text from Gregory's Dialogi, 1.10.7-13 (Vogüé v. 2, 98-104) (recto); and 1.10.13-17 (104-08). The passages concern an Italian saint, Bishop Fortunat. Reconstruction Note! 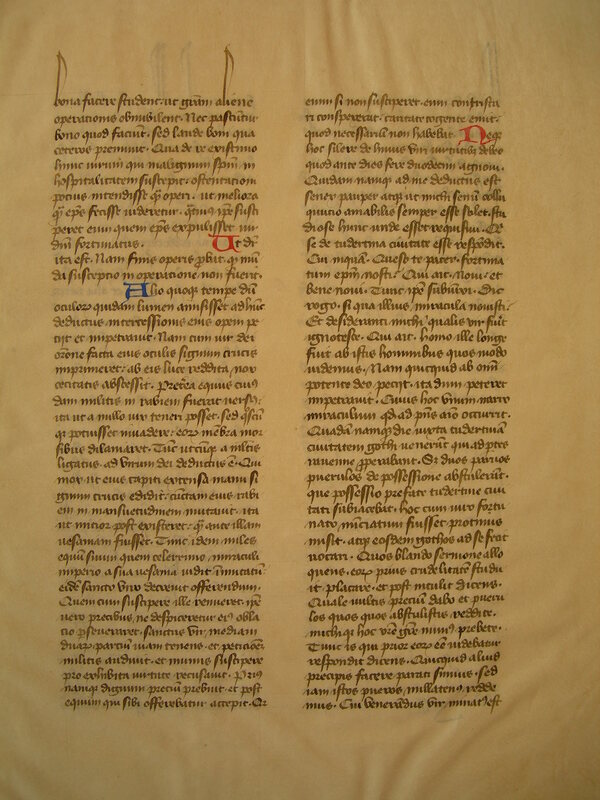 In Ege's original manuscript, this leaf was followed by what is now Leaf 41 in the Kent State University portfolio. bona facere student, ut gratiam alienae operationis obnubilent, nec pascuntur bono quod faciunt, sed laude boni qua ceteros premunt. Qua de re existimo hunt uirum, qui malignum spiritum in hospitalitate suscepit, ostentationi potius intendisse quam operi, ut meliora quam episcopus fecisse uideretur, quatenus ipse susciperet eum quem uir Domini Fortunatus expulisset. Vt dicitur ita est. Nam finis opens probat quod munda intentio in operatione non fuerit.